Satellite imaginery is becoming an increasingly important tool for farmers everywhere, allowing them to monitor the health of their crops. It used to be, however, a very expensive service, out of reach for most people. Open data and open source are here to radically change that. While extremely useful to monitor the health and growth of crops, satellite information is difficult to acquire and process. Until now, the only option was to resort to expensive commercial services. However, recent open data and open source initiatives are working to enhance the access to this information. In this post I show how open source tools can be used to access, process and redistribute satellite imaginery as an accesible web map. Let’s start from the beginning. How exactly does satellite imaginery help us to monitor crop health? One of the most commonly used metrics is called Normalized Difference Vegetation Index (NDVI). But how does it work? Live green plants get their energy from light. They don’t use, however, the full spectrum of solar radiation: their chlorophyll absorbs visible light (0.4 to 0.7 µm wavelengths) while their cellular structure of the elaves rejects near-infrared light (from 0.7 to 1.1 µm) since photon energy at that band is not useful to synthesize organic molecules and would only serve to overheat the plant. Note: many other, more sophisticated metrics exist for monitoring vegetation, but agricultural science is not the point of this post! As you can imagine, few satellites reunite all these. But there are! The obvious candidate is NASA / USGS Landsat 8, one of the first whose data was made openly available. 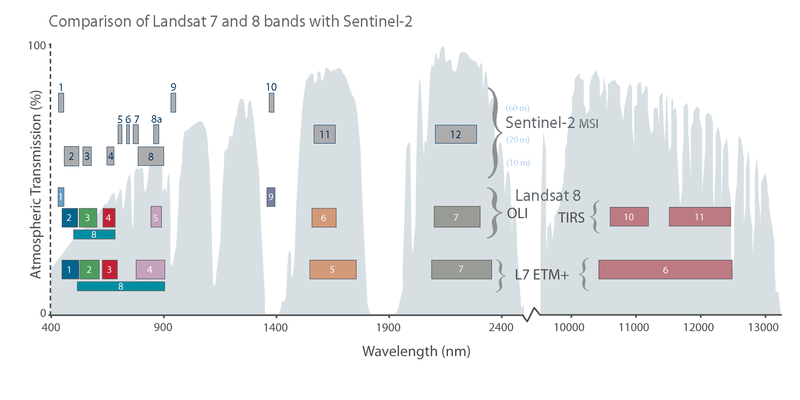 It is expected that ESA Sentinel-2 will shortly begin to provide regular data as well, but tools are not ready yet. 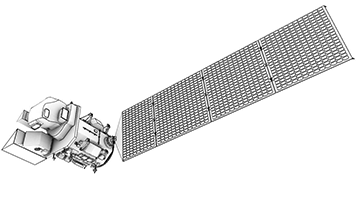 Landsat 8 is the last bird in a long and successful family of civilian Earth Observation satellites of the United States. It carries various intruments, but for now we’re interested in its Operational Land Imager, that can be regarded as a very fancy and expensive multiespectral camera. The satellite has a revisit time of about 16 days, so don’t expect daily updates. However, once Sentinel-2A and Sentinel-2B are available, it is expected that useful data will be available each 3-5 days. Note: to illustrate this post, we will observe crops in the south east region of Spain: Albacete, Alicante, Valencia and Castellón. Instructions for installing this nice open source tool are available here. It has a wide array of functionality, being able to search, download, and process imaginery. We can filter these result by any parameter, including date, cloud cover, etc. An alternate way of finding suitable imaginery the Libra tool mentioned above, that relies on this same tool. Note: However, landsat-util search allows us to set a cron job to update our imaginery as we wish! In order to produce a continuous webmap, images must be stitched together and them divided into a lot of small tiles that can be loaded by the browser. 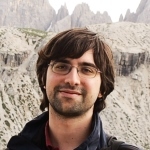 We will use a some functions from GDAL, the Geospatial Data Abstraction Library, which was installed as a requirement of landsat-util. 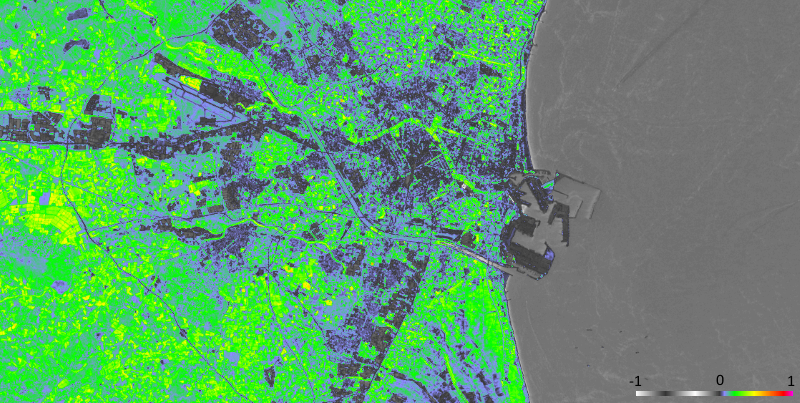 One we have a virtual dataset file NDVImap.vrt, we need to divide it in several small tiles at each zoom level. We can use the standard GDAL-provided utility called gdal2tilesp.py, but an improved parallelized version is available here. Now we have a directory structure in the form Z/X/Y.png. The only remaining thing is to render these tiles in a webpage. That’s where the last piece of our open source toolchain enters. Sample tiles (Y.png) in folder Z=11/X=1013. 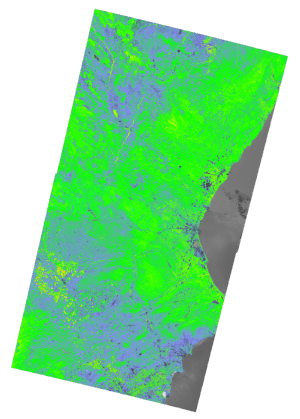 And this is the end result: a scrollable web map showing NDVI data from Landsat. Of course, this could be customized by adding a search function, cadastral boundaries for a certain property (in places were they’re available as open data), etc., but the main work is done: from the raw satellite data to the web. Note: in order to save space, this is a very cropped map of Albacete! Through this long and hopefully-not-so-boring post I’ve tried to describe the open source tools that I’ve found most useful when trying to test the feasibility of turning open satellite data into web maps. As stated on the introduction, the reason behind this effort is that satellite data is difficult to work with, and most people (I’m thinking farmers in remote areas) often do not have the capabilities (computing power, bandwith, spare time to learn) required to make use of that data. It is thus interesting to explore ways to process relevant data into a form that allows an easy consumption and use, and probably websites are a good medium to disseminate this information. However, none of this is useful if it is only made once, for the purpose of monitoring is to visualize change. As the satellite revisits the location, more and more imaginery is captured. It is thus important to create ways of automatically regenerating the map each time new suitable data is available in order to ensure that the information is up to date. 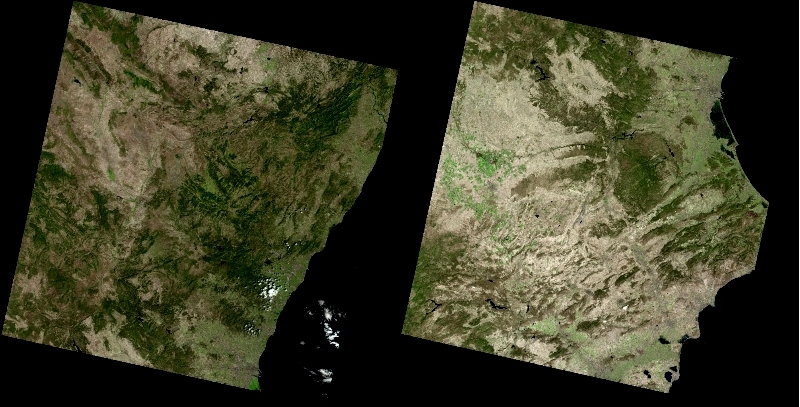 Now, thanks to the work of people like the Development Seed team, open source tools are available to programmatically search and acquire new images from Landsat 8. Hopefully, this trend will expand to other satellites like Sentinel-2, or even platforms like ISS that are being fitted with cameras and other sensors, and the data will reach those that need it the most.